Introducing two new styles of our Oil Bottle Pendant. For use with our Mystical Oils or your favourite blend. 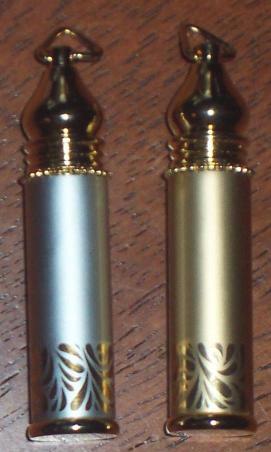 Unique in that it has a ROLL ON APPLICATOR - Gold with SILVER or GOLD with GOLD - the quality is excellent! Use this special oil bottle pendant in magickal workings to draw symbols on parchment with your chosen Mystical oil. 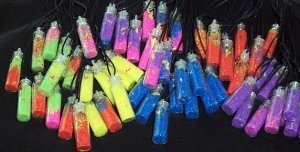 Wear or carry on your person and apply your oil to objects, mojo bags, candles, people or yourself when required. Holds about 3 mls of oil, measures 55mm in height and 12mm diameter. Our Oil Bottle Pendant comes to you without the keyring attachment so you can wear as a pendant or attach the keyring if you wish. We will include the gold keyring seperately with your order. This is a pack of five refill pads for oil locket pendants. Use a few drops of your favorite magical scent to last all day! Also works with chambered pendants. 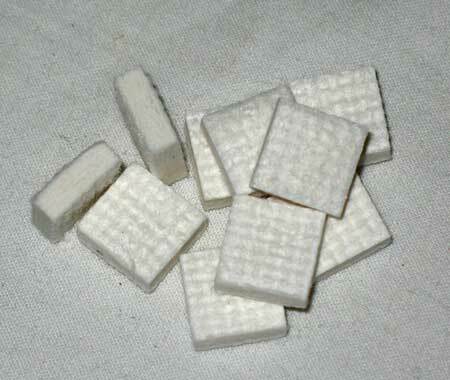 Size - 10mm x 10mm square. 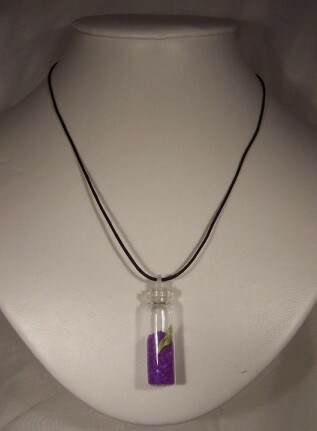 A delicate glass bottle pendant filled with colourful crystals/flowers. Each bottle has a tight plastic seal, comes on Leather Cord with silver clasp - ready to wear. You can easily remove the contents in this bottle pendant and replace with your own - Crystals, Herbs or favourite oil if preferred. 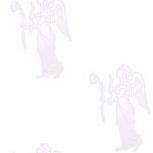 See the bright range of colours - you will receive a random colour chosen by the Magic Fairy herself! Each Bottle includes Crystals, Herbs or Flowers. Caution - Do Not Eat!